The event was hosted by Jim Barr, Vice President and General Manager, Asia Pacific – Terex AWP and Mitch Ely, Director of Customer Satisfaction and Reconditioning, Terex AWP. The customer appreciation night ran in parallel with HIRE17, the HRIA’s annual convention, held this year at Rosehill Racecourse, in Sydney’s west. As part of the event’s entertainment, the experimental Black Light theatre group produced an artistic performance with the new Genie SX-135 XC boom lift as its centrepiece. The mighty boom was skilfully maneuvered into the purpose built 20 m x 24 m Red Box space. 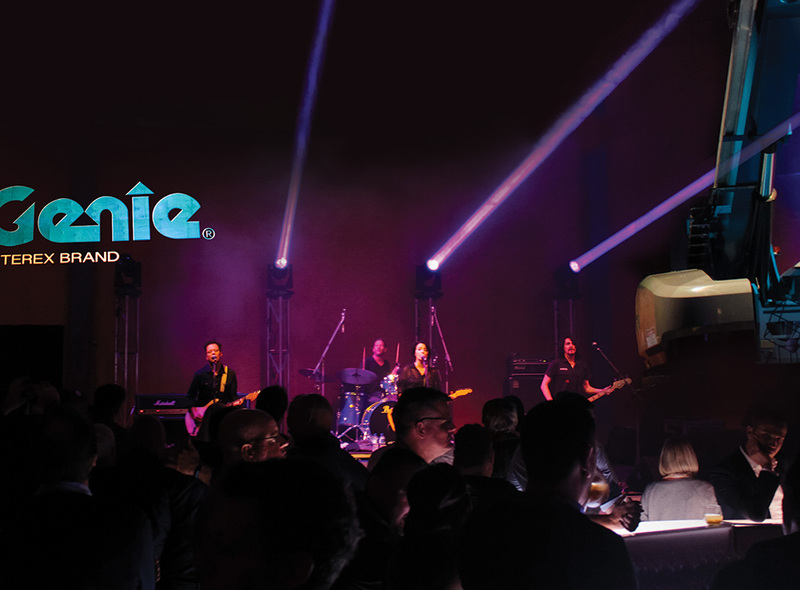 Jim Barr, who presented at HIRE17, and at the customer appreciation night, reaffirmed the rental industry will always point Genie towards its ‘true north.’ “The rental industry shows us where we need to drive our innovation and more importantly, I’d like to restate we are listening,” said Barr. Likewise, the residual value of a Genie machine should never be understated, noted Barr. “We have a common saying in the United States that the proof is in the pudding,” he said. “In other words, the sum of all the technology and innovation which goes into a Genie unit will one day be proven by its residual value." “You might ask whether a unit will stand the test time.” With Genie, the overwhelming answer is: Always yes.